Getting a new or renewed field of forage established can sometimes be a battle for both the farmer and the seed. Philipp suggests that there are few things that can be controlled to ensure a successful new seeding. One of those controllable factors — and perhaps the most important one — is seeding depth. Every type of seed has its own ideal seeding depth, and a “one-size-fits-all” approach will generally result in seeding failures. 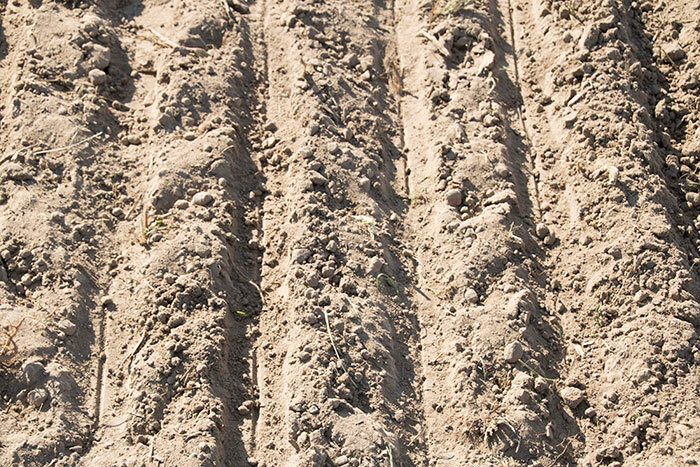 Complicating the matter is that seedbeds are widely variable and can range from the smoothness of a baseball infield to no-tilling into an existing perennial forage stand that has been roughened by years of livestock grazing. Philipp suggests being meticulous with drilling machine setup, making sure the coulters and planting wheels operate correctly. “Check coulter bearings regularly as loose planting wheels will result in uneven planting depths,” Philipp says. Planting wheels can be adjusted to a certain depth, so make sure they all have the same setting and spacing. Also, check to see if old seed or insect habitat is impeding the seed tubes. Finally, calibrate the drill for the correct seeding rate. Pick a relatively even spot for adjusting seeding depth and run the drill for several yards; then try to find the seeds in the row. “Most of the time the seeds are hard to find,” Philipp says. “At shallow depths, some of the seeds end up on top of the planted row and are pressed into the soil by the packing wheels. That is perfectly fine,” he adds. Sometimes adjustments will need to be made within and between fields. “Some fields are much wetter or dryer in certain spots and this will change planting depth,” Philipp says.